God is a realisation in Indian way of life. It opens up new horizons in the Consciousness of man to understand and enjoy the creation. In Indian philosophy God is a concept to justify the mysterious ways in which things and objects behave on earth. When a bud blooms into a flower, it carries different forms. Colours and fragrance. Such a manifestation has been puzzling human mind. He searches for beauty hidden in the flower but ultimately he is satisfied with its fragrance and image. In fact, God is such a manifestation. In search of God, man is satisfied with his realisation of God alone because it is not possible for him to reach and scale Him. Thus God has been given so many shapes and forms to satisfy the demands and desires in man, to feet Him and realize Him. He becomes the main protagonist in this creation and like a skilled hero, has taken up different forms or masks. Perhaps the theory of incarnation originates from the explanation to justify the different masks taken up by God in different time and place. It is very simple to believe that man has imagined God in a definite shape depending upon the nature of time and place in which man lived in. it is similar to the flowering of imagination in human mind to shape the incredible and mysterious things or objects in nature. The Concept of incarnation has attracted scholars and intellectuals due to its deep-rooted impact on the religious and social life of man. It has remained a mystery as to why God takes different shapes of either a man or an animal in Hindu mythology. Perhaps God is transformed into a reality for the ultimate realisation through such incarnations. They carry spiritual and religious significance in the life of common men to discipline their way of life. Of course, it all depends upon Faith. From the time of creation, man has believed in God to lead a life that is pure, honest and divine. Man has observed austerity to purify his soul to make himself free from worldly evils and to save himself from natural calamities and dangers. Whenever man and his world are in danger or in a chaos, he has invoked God as the supreme power to help him and to save him from further disasters. Therefore, a study on the theory of incarnation is of vital importance, "The term 'incarnation' is applied to the at of divine or supernatural being in assuming the form of a man or animal, and continuing to live in that fo0rm upon the earth" (Soderblom 83) and the mind of men. The present study "Theory of Incarnation: Its Origin and Development in the Light of Vedic and Puranic References" is an attempt to present a systematic picture of the 'theory of incarnation'. The main objective of the study is to analyse the various incarnations of Visnu as delineated in the Vedic as well as the Puranic literature. This humble work is a pointer to such God realisation and conscience in human mind that has accepted the theory of incarnation as a phenomenon. Sincere attempts are being made to explain the origin and growth of the avataras in order to analyse and explore different possibilities to justify the Ultimate Reality called God in the fundamental consciousness of mankind. Though some scholars have undertaken the pains o doing work on the Theory of Incarnation in Medieval Indian Literature, The Concept of Avataras (with special reference to Gita), and Avatara and Incarnation: A Comparative Analysis, yet no comprehensive work is being done upon avataravada. Therefore, I have decided to undertake the work "Theory of Incarnation: Its Origin and Development in the Light of Vedic and Puranic References" to explore all possibilities behind the concept of God's incarnation. Here in this work, the views o the predecessor have been analysed, accepted or rejected with valid reasoning. Still there is much more scope for the scholars to carry research on the data collected and other valuable findings. At the time of discussing the topic under study, the position of it in the Rigveda. Yajurveda, Atharvaveda Samhitas, Brahmanas, Upanisads, Sutra literature, Jaina and Buddhist literature, Panini, Patanjali, Ramayana, Mahabharata, Harivamsa, Puranas, classical literature, Alvars, Acaryas, Kabir, Tulasidasa, Nimbarka, Caitanya, Ksemendra, Jayadeva and epigraphy is dealt with. 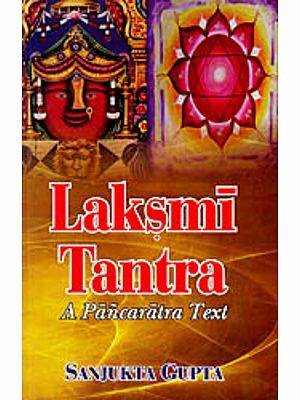 This study begins with the information supplied by the passages and verses containing the incarnations and the ideas relate to those in the Sanskrit literature. 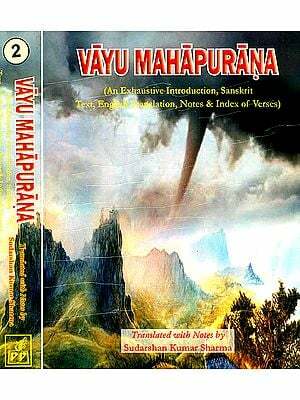 Since the Vedas, Brahmanas, Upanisads, Puranas and other scriptures are the only sources of different avataras of Visnu, all these texts available are studied in detail. For the interpretation of the passages and verses, the Sanskrit commentaries and available English translations of the texts have been consulted. The contents of the passages are grouped under each incarnation. These constitute the primary data. On the basis of these, the 'theory of incarnation' is analysed from the etymological, comparative, historical and anthropological points of view in order to reach a logical, universal conclusion as to how the concept of God and His avataras are even relevant today. 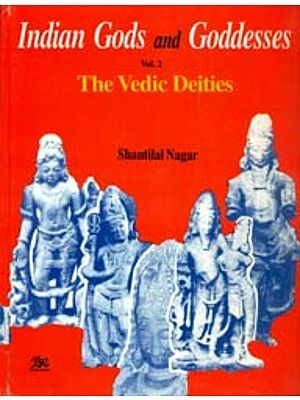 This analysis is done on the basis of hundreds of views and explanations of different Indological scholars bearing references to the topic and even on the mythological interpretation available in the west, which are published under various Indological and historical books and journals, typed theses, etc. these constitute the secondary data. God is a realisation in Indian way of life. It opens up new horizons in the consciousness of man to understand and enjoy the creation. In Indian philosophy God is a concept to justify the mysterious ways in which things and objects behave on earth. In search of God, man is satisfied with his realisation of God alone because it is not possible for him to reach and scale Him. Thus God has been given so many shapes and forms to satisfy the demands and desires in man, to feet Him and realize Him. He become the main protagonist in this creation and like a skilled hero, has taken up different forms or masks. The 'theory of incarnation' is analysed form the etymological, comparative, historical and anthropological points of view in order to reach a logical, universal conclusion as to how the concept of God and His avataras and even relevant today. Rabiprasad Mishra born in 955 to Bimla Devi and Sahityacharya Govinda Mishra of Harichandanpur Sasan, Narasinghpur, Cuttack, Orissa belongs to a family of scholars devoted to Sanskrit studies for generations. Graduated from Ravenshaw College with Sanskrit Honours in 1974, he did his Master's and M. Phil. (Theory of Incarnation, with special reference to Satapatha Brahmana) at Utkal University. He wrote his Ph. 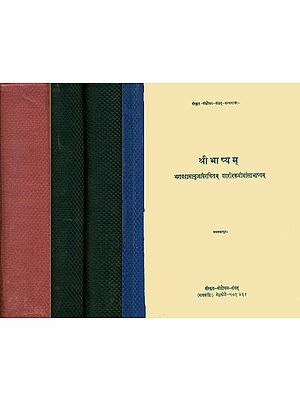 D. dissertation entitled Theory of Incarnation (Its Origin and Development in the Light of Vedic and Puranic References) (Utkal: 1997) under the supervision of Prof. Krishan Chandra Acharya, the then Vice-Chancellor, Sri Jagannath Sanskrit Vishvavidyalaya, Puri, which was highly praised by Professor Sriramamurti, Andhra University and Professor J. L. Brokington, The University of Edinburgh. A Life Member, All India Oriental Conference, Dr. Mishra his been actively engaged in post-doctoral research work and publications of papers in journals and magazines. Dr. Mishra joined Orissa Education Service (II) as Lecturer in Sanskrit in 1977. at present he works as Senior Lecturer in Ravenshaw Morning College, Cuttack, Orissa. He has also earned reputation as an able event-organiser and an Orissa government College Teacher's Association activist.